Newconn are a relatively young company but have experienced fast and continued growth since inception. We attribute this success to the commitment and effort of all its staff who strive constantly and consistently to achieve the company’s goals. Our Needs are sourced locally wherever possible and we have actively funded local community groups, provide work experience for local students and have a healthy apprentice scheme. Our Main scope of works is with Western Power Distribution PLC the D.N.O. serving the South West, Wales and The Midlands with whom we have shared a ten year continuous relationship. Other customers have included Caerphilly County Borough Council, Torfaen County Borough Council, Longcross Construction, Harvey Shopfitters Ltd, Wates Construction, Midas Construction and Newport City Homes. We are a member of a number of professional organisations such as NICEIC, ACHILLES Utilities Database, Constructionline, and The Contractors Health & Safety Assessment Scheme all of whom have rigorous qualification procedures on health & safety and quality before accepting members. We are externally audited annually by The Contractors Health & Safety Assessment Scheme and Western Power Distribution on our compliance with Health & Safety Legislation to minimise risks. We motivate and encourage our staff to support the company’s goals for excellent performance, growth and achievement through regular training and development, face to face discussions and open communication. 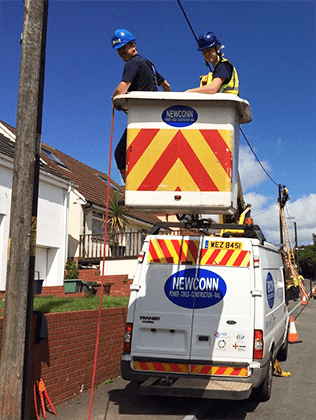 We are currently a preferred sub-contractor for Western Power Distribution serving The Midlands, South West and Wales with whom we have shared a ten year continuous relationship. Other clients include Caerphilly County Borough Council, Torfaen County Borough Council, Longcross Construction, Harvey Shopfitters Ltd, Wates Construction, Midas Construction and Newport City Homes.